Got kind of a fun one today, last time i was at Sephora I decided to use a few of my points and get this fancy Bite Beauty set. 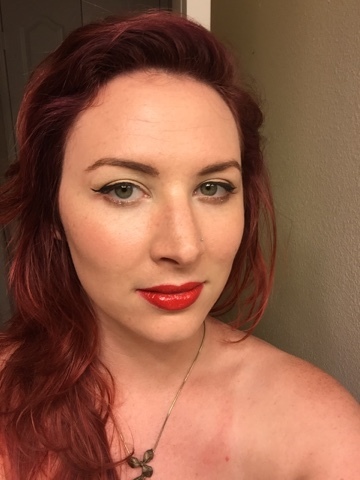 I'm definitely a sucker for red lipstick, and berry for fall always piques my attention, so I definitely took the opportunity for a new addition to the lipstick set. 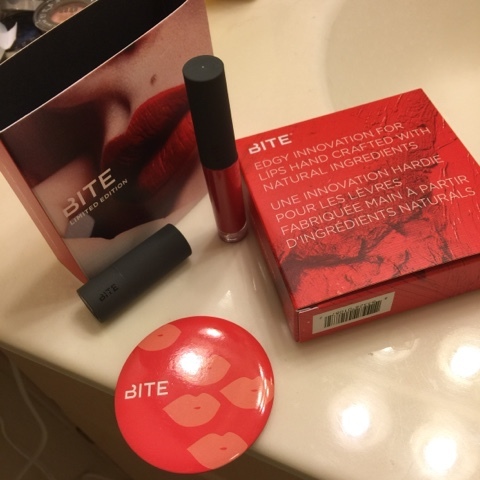 Bite is an awesome brand, I love everything I've tried from them, from dual-ended lipsticks to lip treatments, they offer a really solid product. If you need an excuse to try it out, there're always small sets near the cash wrap at Sephora for decently cheap. So this is the fancy little fall set in Mimosa. So cute! On eyes today, UD Naked palette, Smog 24/7 eyeliner, Heavy Metal Glitter liner in Midnight Cowboy, and Benefit BADgal Lash mascara. I tailored today's look around the bright red plan, with a nice gold/bronze eye and black and white outfit. 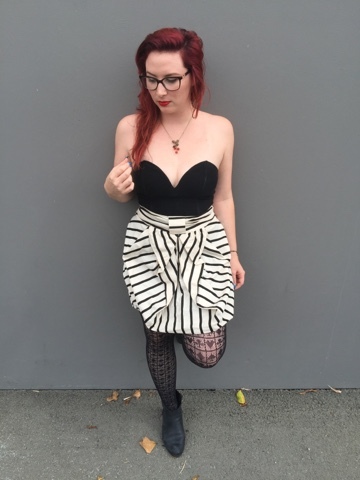 I had some fun with the patterns today, so went with a Nasty Gal bustier, old skirt from Anthro, Black Milk Card Suit hosiery, and Michael Michaud cherry jewelry. I LOVE Michael Michaud– I've been collecting his jewelry for years now, and every piece is a work of art inspired by nature. Seriously, it's gorgeous. 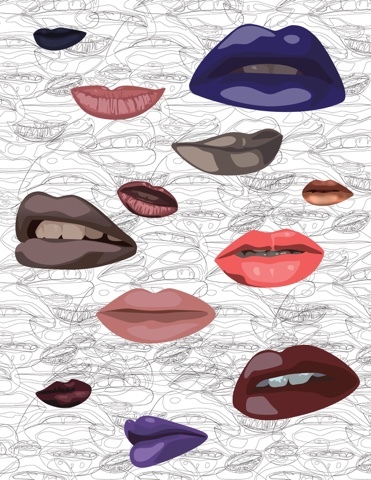 Go buy some. And it's so close to fall!! Pretty much time to whip out the booties at any chance possible. Woohoo!